Minimum quantity for "KARIPUR 100% Organic Shea butter" is 1. The extraction by mechanical pressure of our Shea guarantee the purity and originality of its properties that remain intact. Shea Butter certified organic by Ecocert SA FA-32600. 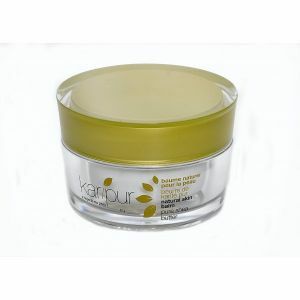 KARIPUR Shea Bio-Balm is used as body care as for the hair. It combines a protective action against drying to a preventive action and treatment of skin aging. It stimulates cell metabolism. use: recommended massage at bedtime.